The Hybrid Factory in the United States will be the English translation of a book published in April 2005 by Toyo Keizai Shinpo Sha, a leading business publisher in Japan. The book is the outcome of an extraordinarily comprehensive field survey of Japanese auto and electronics factories in North America by the Japan Multinational Enterprise Study Group (JMNESG). 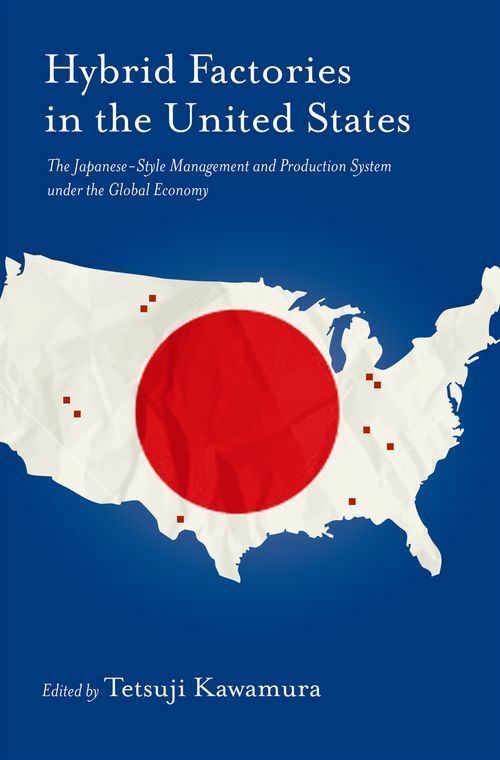 This extensive project, conducted in North America in 2000-2001, covers 81 factories in the course of assessing the transferability of Japanese-style management and production systems (JMS, for short) to overseas factories owned by Japanese companies. All of the book's investigations are based on a common methodology, which the editor and contributors call a "hybridization analysis"; it quantifies the degree to which features of the Japanese system have been transplanted, using an elaborate checklist and scoring system. This common methodology allows the contributors to make detailed inter-regional comparisons by analyzing the different hybridization patterns in each region. The sheer amount of raw data will be enormously helpful to researchers and students in international business who are examining the diffusion of high performance management and production methods in new environments. This book, with its wealth of data, should serve as a handy reference volume to students and scholars in business schools taking strategic management courses with a focus on international business, as well as practitioners and managers of transplants in the car and electronics sectors, and economists and social scientists interested in the issue of international management and the impact of globalization upon production models. 3.1 GENERAL FEATURES OF THE JAPANESE TRANSPLANTS IN THE U.S.A. -INTER-REGIONAL AND INTER-TEMPORAL COMPARISONS (HIROSHI ITAGAKI/ WOOSOEK JUHN).